Vero Beach lifeguards call police about an intoxicated man after pulling him to shore. VERO BEACH – On Saturday, the Vero Beach Police Department was called by lifeguards to 1706 Ocean Drive about an intoxicated man. Eric Loghry, 26, was assisted to shore by lifeguards in Vero Beach. The lifeguard personnel called EMS to evaluate him, but Loghry refused to be transported to the hospital. Police observed Loghry as he was unsteady on his feet and could smell the distinct odor of an alcoholic beverage on his breath, according to the report. Loghry became visibly agitated and began yelling at police officers. His girlfriend pulled their vehicle to the front of the beach to transport Loghry home. As EMS began to leave, Loghry climbed on the driver’s side step of the ambulance and began to bang on the driver’s window, the report said. Officers gave him loud verbal commands to step down from the ambulance, but he ignored them. 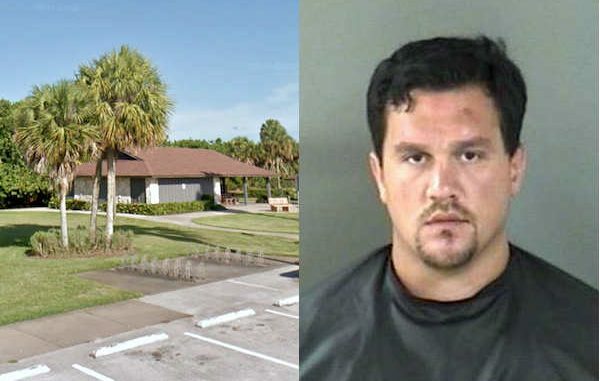 Loghry was finally placed under arrest by Vero Beach Police after a scuffle and was transported to the Indian River County Jail where he was charged with resisting arrest and disorderly intoxication.